I feel like I've returned to the dark ages. Two months ago I moved to Wokingham where the council tax is just about the highest in the goddam country and yet here I am with black plastic bags and a box overflowing with damp paper and cardboard. In Bracknell, where I used to live, I now realise I was spoilt. We had 3 wheelie bins, one for normal waste, one for paper/card/plastic/cans and one for green garden waste. In an effort to encourage people to reduce their waste, Bracknell moved to alternate bin collections around 2 years ago. After initial uproar, I think people got used to it. It never bothered me as even after Lara was born, we had barely produced enough rubbish to fill our normal wheelie bin each fortnight. In fact, every 2 weeks for our recycling collection was actually what I worried about and we would sometimes struggle to fit all our recycling in. It doesn't take a lot to reduce your waste, just a few small things such as leaving bulky packaging at the shop (which you are perfectly within your right to do). We use reusable nappies so don't have much nappy waste and we compost all of our kitchen waste so after that, there isn't much else to throw away other than food packaging (which is slowly beginning to reduce). So now I live in an affluent, expensive town, I would have expected similar waste services but somehow Wokingham hasn't quite caught up. Within one week of living here, we had our black bin bags torn to shreds by foxes or cats with rubbish lying all over the road. Instead of wheeling out our bins each week, we have to either struggle with a normal bin (no lids allowed, the binmen get grumpy with that) or else lug wet, stinky bags to the front garden each week. 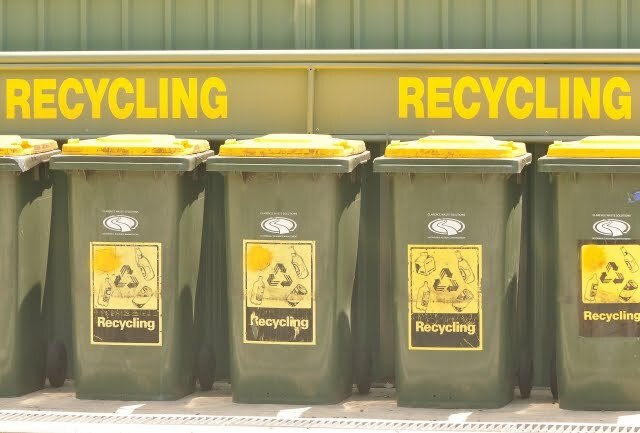 Our normal waste gets collected each week and our recycling and green waste is alternated. Next spring this will change and recycling will be collected every week - yay! 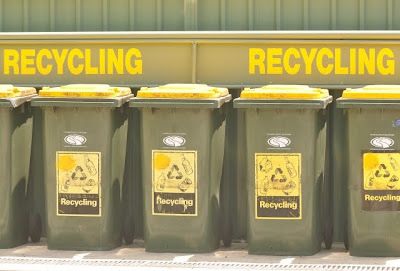 Our recycling goes into plastic boxes (of which we have a very long row outside our house). The boxes have no lids and fill with leaves and water. I wouldn't like to have to empty them. Our green waste goes into bags (whose contents blow away in the wind). Next spring, according to a recent leaflet, our green waste bags will be replaced by wheelie bins. Now, this is great news and I'm happy to fork out for a bin BUT what I really want is wheelie bins for my normal household waste and my recycling. I long for somewhere dry to put my waste and somewhere that is inaccessible to animals. Somewhere that it is easy for me to put out my waste each week. But no, Wokingham council have stated that for the forseeable future they will not introduce wheelie bins; one of the reasons for this is that they are unsightly and will litter our pavements. Errr????? you mean more unsightly than the black bags along the pavement and the bits of rubbish the cats have torn out of them? And, if they're that unsightly, then how come we're going to get them for green waste?